Gagnviðr and Bótviðr in Kassla/Kassle, and they had a stone cut over their father, he was called Bótgeirr. May all-powerful God have (= take) their souls. And then L and(?) (was) the prime-stave and Fir (=F-rune?) the Sunday(-stave) when he died. 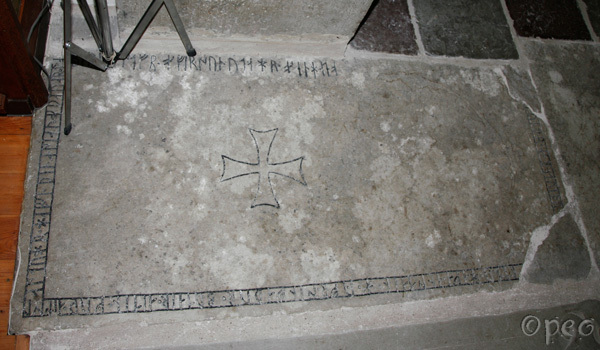 You'll find this grave slab in the floor of Hangvar church.